A career civil servant having been educated at Cray Valley Technical School. Initiated in Bromley Invicta Lodge 8128 in 1992 becoming Master in 1998 and again in 2002; he became the lodge Director of Ceremonies in 2004 where he remained until 2012. He is also a member of Fiennes Cornwallis Lodge 9279 and The West Kent Masters’ Lodge 5778. In 2005 he was appointed Provincial Standard Bearer, followed by Provincial Junior Grand Deacon in 2012. He was exalted in Hereditary Chapter 5731 in 1995 becoming MEZ in 2001 and served as the Director of Ceremonies for five years from 2008. He is also a member of West Kent Stewards’ Chapter 8565 and the West Kent First Principals Chapter 5778. 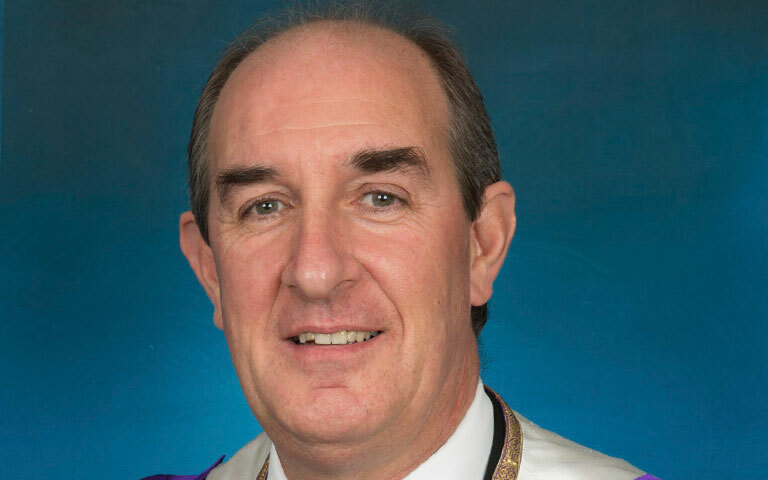 In 2006 he was appointed Provincial Steward, promoted to Deputy Provincial Grand Director of Ceremonies in 2010, Assistant to the Provincial Grand Principals in 2012 and Third Provincial Grand Principal in 2013. Also in 2013 he was given the honour of an active rank in Supreme Grand Chapter when he was appointed Assistant Grand Director of Ceremonies. He likes to watch all sports and when at school enjoyed playing rugby and cricket – he is also a judo black belt. In 2002 he had the honour of being appointed Justice of the Peace. He admits to being a ‘very bad abstract artist’, he also enjoys cooking and drinking decent wine – both at which he excels.